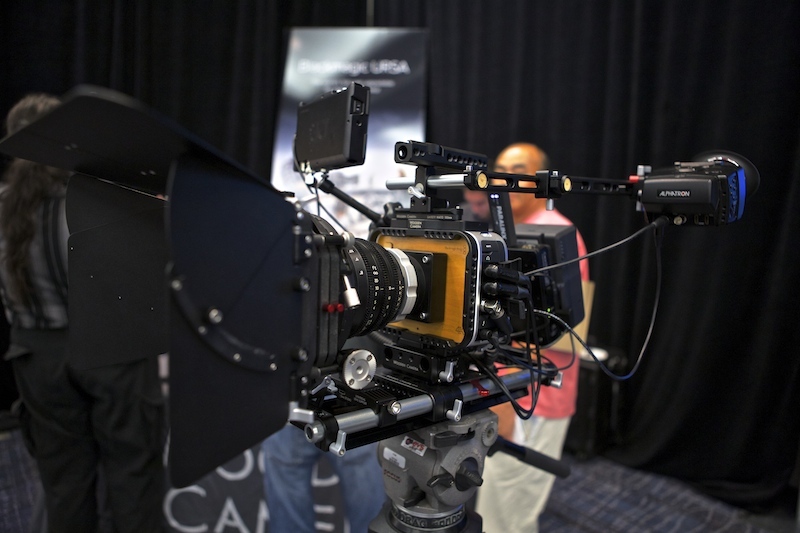 Third-party vendors made a great show at the Blackmagic Design Meet this year. Many vendors displayed existing technology, but there were a few newer and exciting products. LaCie exhibited their Thunderbolt 2 products. 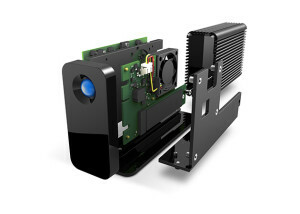 The new 5big Thunderbolt 2 runs at 1050 MB/s and includes a RAID 5 controller. This makes the 5big both safe and fast. The 8big Thunderbolt 2 was not present at the show and has temporarily stopped shipping due to production issues. Once back on the market, the 8big will bring speeds of up to 1330 MB/s with six separate RAID configurations in a rack mountable unit. Also of interest is LaCie’s Little Big Disk, which they claim is the fastest external drive in the world. It clocks in at 1375 MB/s. The Little Big Disk is fitted with two PCIe SSDs preconfigured in RAID 0. LaCie claims the Little Big Disk could be faster, but Thunderbolt 2 holds it back. Corning’s long-distance Thunderbolt optical cables were at a few booths. 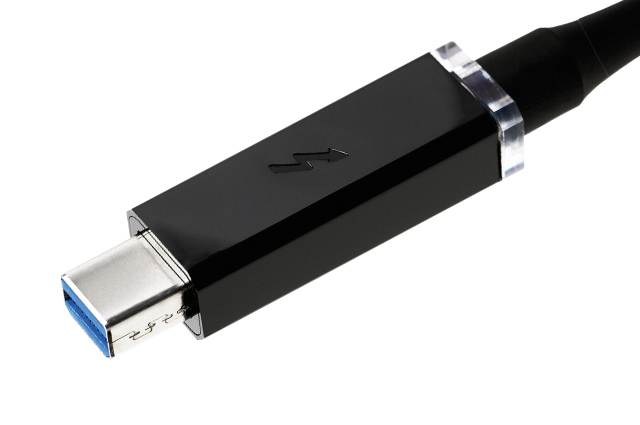 A single cable will work with both Thunderbolt and Thunderbolt 2 hosts. The cable is water resistant, can be tied in knots, and does not emit toxic fumes if lit on fire. So how do they get an optic cable to work with non-optic connectivity? Each connector has a custom built circuit to encode and decode an optic signal. All three big Non-Linear Editors made a showing. Apple showed off new ProRes 4444 XQ footage from the Arri Amira in Final Cut Pro X. I never made it to the Premier booth. The gentleman at the Avid booth demonstrated how to handle native media in Media Composer 8. Grant Petty is a big third-party advocate, which was made apparent at this year’s meet.